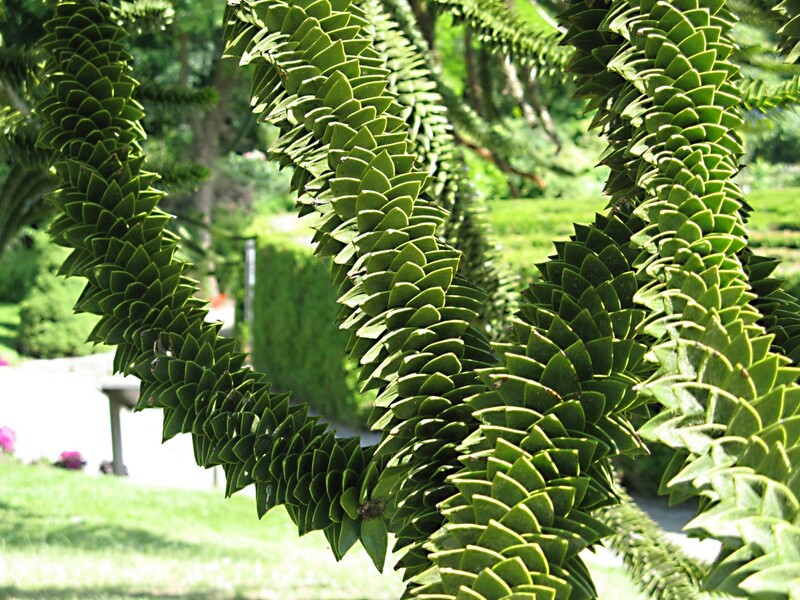 The monkey puzzle tree is an unusual, attractive, and very interesting plant. Its ancestors coexisted with the dinosaurs and formed large forests. The modern tree has strange leaves, a distinctive trunk, and branches that emerge from the trunk in whorls. 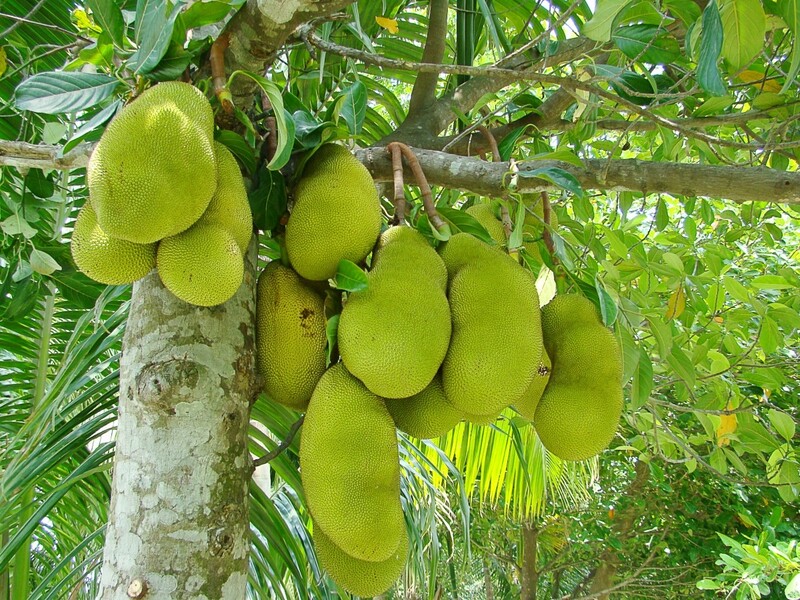 The female trees produce large and tasty seeds which are very popular in some parts of the world. As it matures, the tree loses its lower branches and becomes a tall and very imposing plant. The monkey puzzle tree, or Araucaria araucana, is an evergreen conifer that is native to Chile and Argentina. It's the national tree of Chile. The tree's common name comes from the idea that a monkey would be unable to climb it. It's also known as the Chilean pine or the Chile pine, although it's not a member of the pine family. The tree grows slowly and lives for hundreds of years. It has been introduced to many places around the world, where it grows as an ornamental plant. Monkey puzzle trees and pine trees belong to the plant order known as the Pinales. The monkey puzzle tree belongs to the family Araucariaceae within this order while pine trees belong to the family Pinaceae. Monkey puzzle trees are fascinating plants that some people consider to be weird or even bizarre. Mature trees may reach 150 feet in height—or even higher according to some sources—and have a trunk diameter of up to 7 feet. Another startling fact is that the trees are thought to live for as long as a thousand years. The first thing that strikes an observer of a young tree is probably its upright form and its symmetrical shape. If the observer moves closer, they will see the tree's strange leaves and trunk. 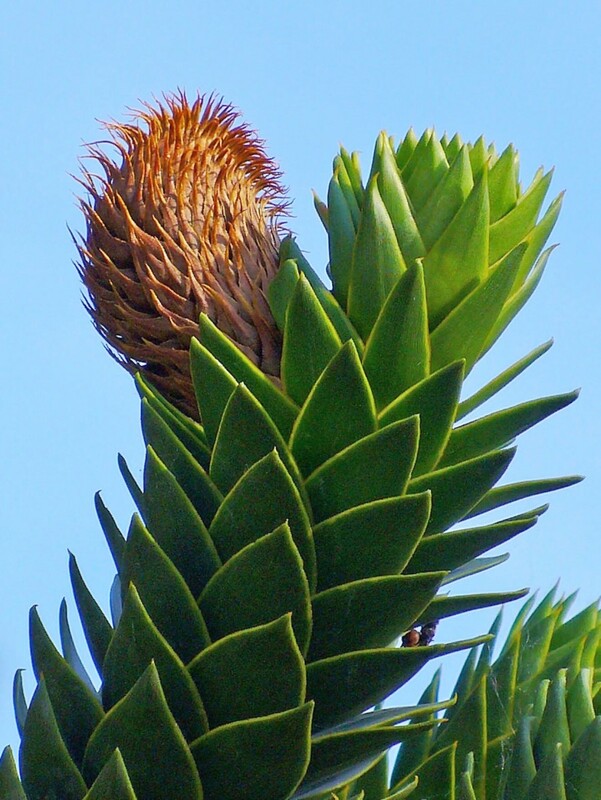 The leaves of the monkey puzzle tree are thick and stiff and have a pointed tip. The leaves overlap each other and completely cover the branches. They are sometimes said to look "reptilian" because they remind people of a reptile's scales. The trunk is grey in color and has circular ridges. As the tree matures, the ridges on the bottom of the trunk start to look like folds. The base of the trunk may eventually resemble an elephant's foot. The lower branches of the tree fall off, leaving a crown of branches at the tip and a tall trunk underneath. The crown is often umbrella shaped. The overall effect is impressive because of the great height of the tree. The leaves of a monkey puzzle tree are interesting to examine and photograph but can be painful to touch. Monkey puzzle trees are either male or female. The cones are borne on the upper branches. 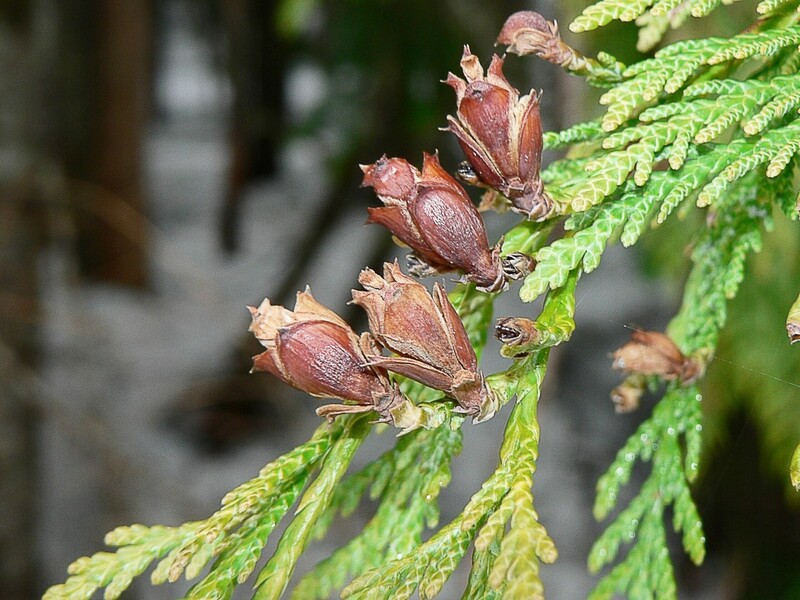 The male cones are also known as pollen cones and the female ones are known as seed cones. Pollination (transfer of pollen from the male cones to the female ones) is by wind. The cones take eighteen months or longer to mature. The cylindrical male cones are 3 to 5 inches long when fully mature while the more spherical female cones reach 6 to 12 inches. The latter may weigh several pounds. There are reports of some cones weighing as much as ten pounds. It's not a good idea to stand under a monkey puzzle tree when it's dropping its cones. The seeds of the monkey puzzle tree are large, edible and—according to people who have eaten them—delicious. They are about the size of an almond and form a staple food in parts of South America. They also have a spiritual significance for indigenous people. The seeds are eaten raw or are boiled or roasted. They are also milled into a flour that is used to make bread and fermented to make a beverage. Like the leaves, the spiky cones are interesting to observe but can be painful to handle. Archibald Menzies was a British Navy surgeon and a plant collector. He's credited with the British discovery of the monkey puzzle tree while on a voyage with Captain George Vancouver in H.M.S. Discovery. In 1795, Archibald Menzies and other officers from the Discovery attended a meal hosted by the Governor of Chile. They were served a dessert of seeds from the monkey puzzle tree. Menzies saved some of the seeds and germinated them on board the ship. When he returned to Britain he had five young monkey puzzle trees with him. They were planted in the Royal Botanic Garden at Kew. The monkey puzzle trees seen in most parks and gardens today are juveniles. 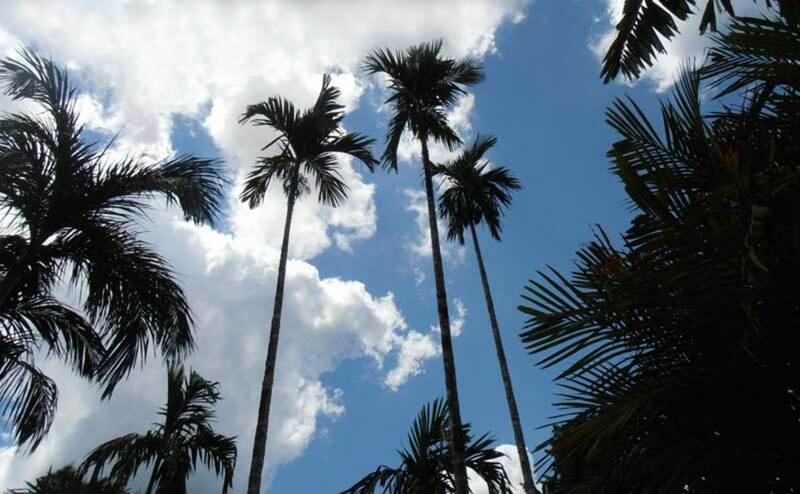 People might think that they need to take a trip to South America to see the mature trees. There is at least one place in Britain where somewhat older trees than those generally seen in North America can be viewed, however—on the grounds of Bicton Agricultural College in Devon. Why Are Monkey Puzzle Trees Endangered? The IUCN, or International Union for Conservation of Nature, has classified the wild monkey puzzle tree population as endangered. This is worrying information. It would be very sad to lose this unique tree from the Earth. The number of monkey puzzle trees has been reduced due to deforestation caused by logging and burning. These activities are used to clear trees from land so that it can be used to grow crops or to provide a grazing area for animals. The trees are actually quite resistant to fires caused by natural causes but are less able to protect themselves from fires deliberately set by people. The tree is also harvested for its fine-grained wood. It's illegal to cut down a wild monkey puzzle tree in its native habitat, but unfortunately this law is often disobeyed. 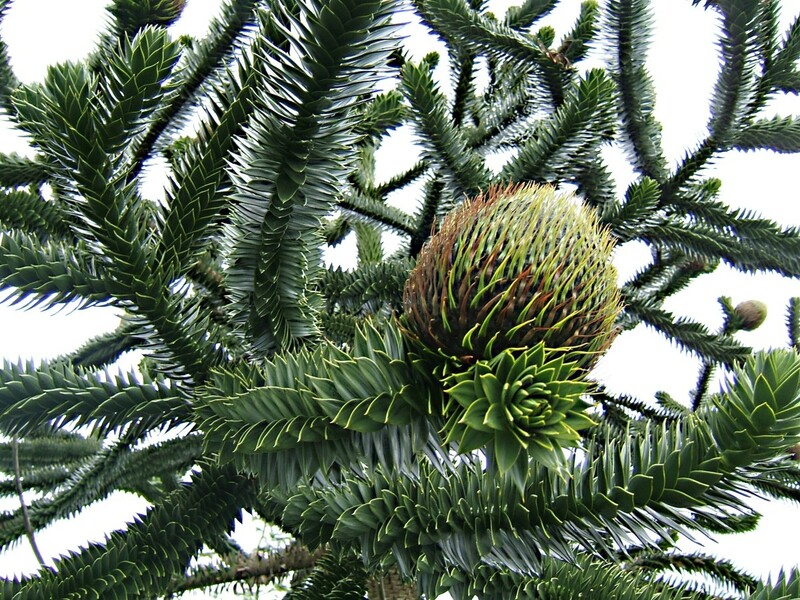 The population of monkey puzzle trees is becoming fragmented as trees are destroyed. Since the trees grow so slowly and don't reproduce for many years after seed germination, they can't recover from population stresses very well. They are protected in some parts of their range, but they need more help. According to the IUCN, the monkey puzzle tree is not only endangered but also has a decreasing population. Outside of their native habitat, monkey puzzle trees grow well in Britain and in the Pacific Northwest region of North America (Oregon, Washington, and British Columbia). Several grow in gardens in my neighbourhood. One person has even added a second monkey puzzle tree to their garden. The trees also grow in Northern California and in some other parts of North America. The species does best in a mild climate that receives a good supply of rain. It likes full sunlight. It grows in a wide variety of soils as long as they are well drained. The tree will tolerate salt spray from the ocean. However, it doesn't do well in a hot, dry climate or in polluted areas. It's classified as hardy to USDA Zone 7. Seeds or seedlings of a monkey puzzle tree produces a lovely ornamental plant. The tree is sometimes grown in a container as a house plant. Patience is needed if the grower wants to obtain seeds from the tree, however, and there is no guarantee of success. Monkey puzzle trees grow very slowly. The seeds generally germinate in one to two months. It may take as long as thirty to forty years before new seeds are produced, and even then this will only happen if a tree is a female and if there is a male tree in the area. The gender of a tree can be determined only when cones are produced. A tree should be planted while a person is relatively young if they hope to harvest seeds during their lifetime. If it's too late for this, the future ability of the tree to bear seeds (if it's a female) would have to be a gift to descendants or to people who buy the property containing the tree. A monkey puzzle tree played a significant role in in the 1947 movie "The Ghost and Mrs. Muir", which starred Gene Tierney and Rex Harrison. In the movie, Mrs. Muir purchases Gull Cottage. The cottage is haunted by Captain Gregg, the previous owner of the home. A friendship develops between Mrs. Muir and the Captain, although the pair both have strong personalities and frequently argue with each other. Mrs. Muir orders the beautiful monkey puzzle tree in the garden to be cut down because its branches broke one of the cottage's windows during a windstorm. The destruction of the monkey puzzle tree that he planted both angers and hurts the Captain. The incident also appears in one episode of the "The Ghost and Mrs. Muir" TV show, which was aired in 1968. The movie has a happy ending, however. When Mrs. Muir dies of old age, the Captain comes to greet her. The pair leave Gull Cottage, united in spirit form. Monkey puzzle trees do have a way of making themselves noticed, whether in movies or in real life. They are distinctive trees that grow very well in my area. I enjoy observing them and find them very appealing plants. Why do Monkey Puzzle trees lean towards the north when they grow? I suspect that you’re thinking of the Cook pine (Araucaria columnaris). The Monkey Puzzle tree doesn't lean, but its relative does. The Cook pine leans to face the equator. When it’s growing in the northern hemisphere it leans towards the south and when it’s growing in the southern hemisphere it leans towards the north. The trees lean at a greater angle the further they are from the equator. 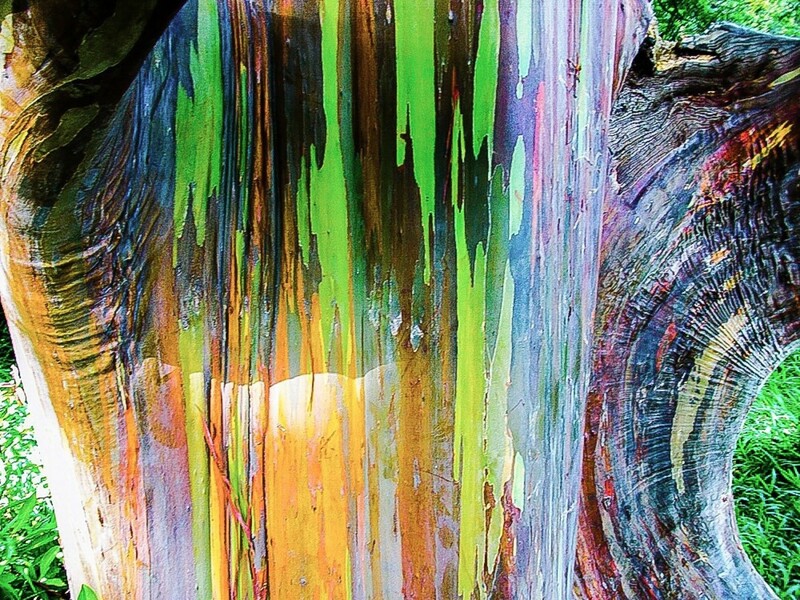 The behaviour is fascinating, but scientists don’t know for certain why the trees perform it. One theory is that they lean so that they can absorb sunlight at a better angle. Like other plants, they must absorb light efficiently in order to carry out photosynthesis, which produces the food that they need. It would be interesting to know why and how the trees bend towards the equator when other trees don’t, however. 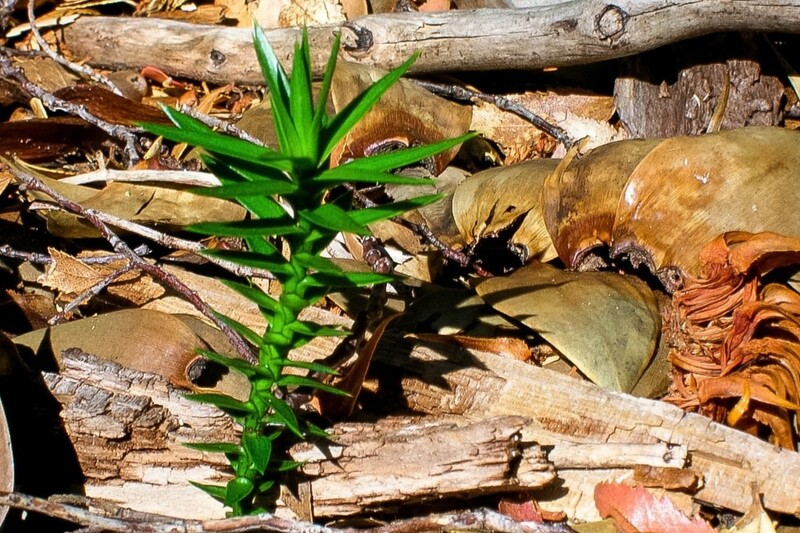 Can a monkey puzzle tree grow in central Florida? According to the University of Florida extension department, it can. 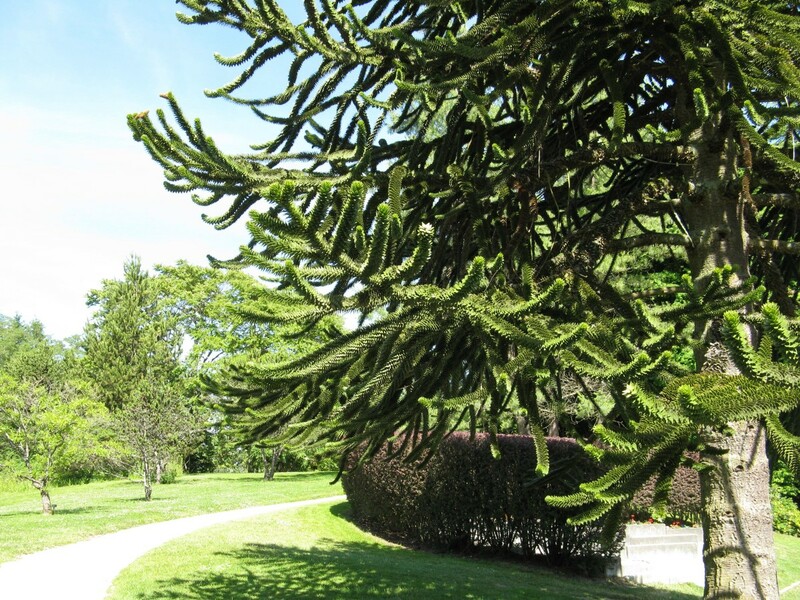 The university says that the monkey puzzle tree grows in USDA hardiness zones 7b through 11. 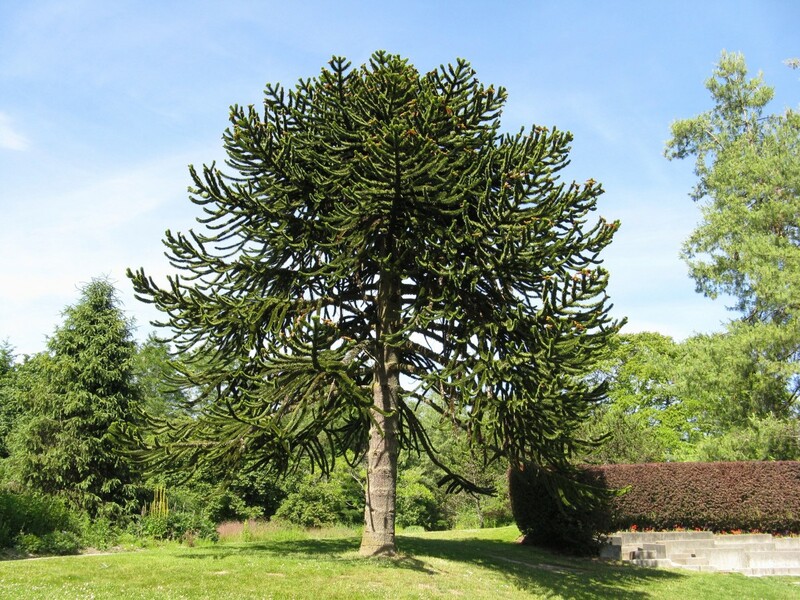 What is being done to prevent the extinction of monkey puzzle trees? 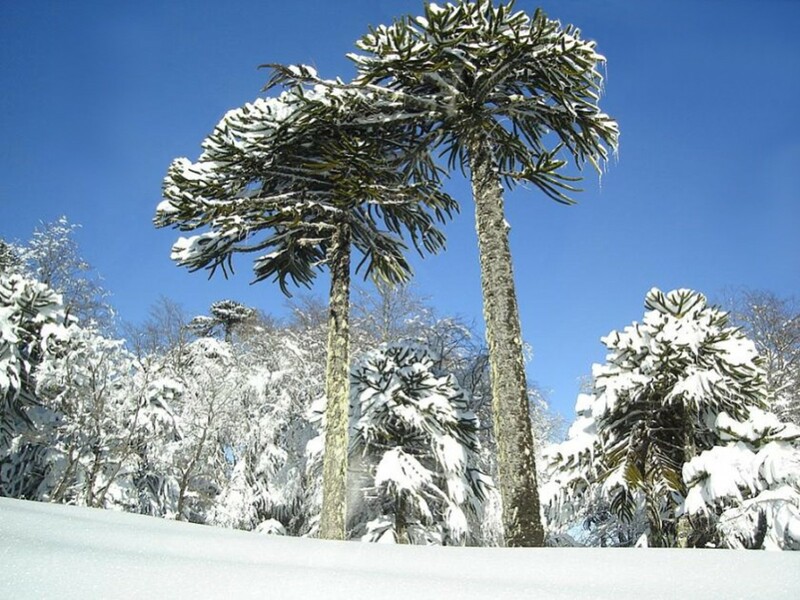 Attempts to save the monkey puzzle tree are being carried out both within Chile and in Scotland. I know of four conservation projects that are in progress. 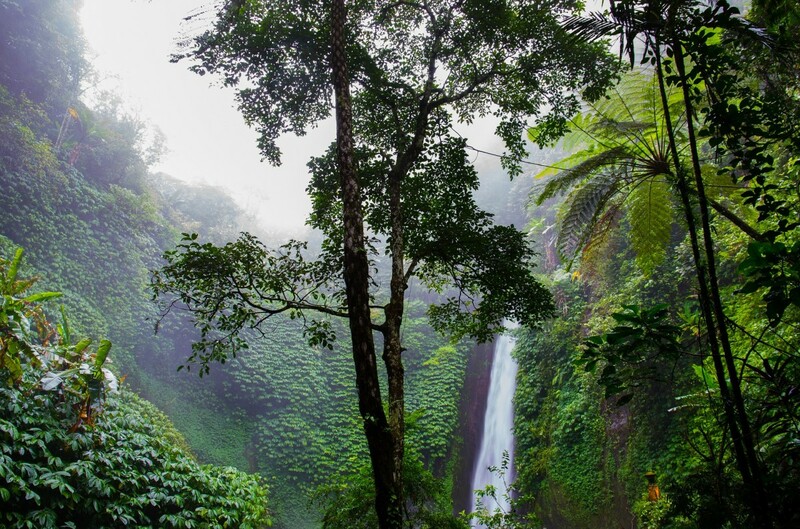 Rainforest Concern (a registered charity) is working with a Chilean park organization and a Chilean University to maintain and expand the Namuncahue Biological Corridor in southern Chile and the Nasampulli Reserve in the Andes. The corridor links several areas with threatened monkey puzzle trees. The reserve contains forest occupied by the tree. The Royal Botanic Garden Edinburgh has imported thousands of monkey puzzle tree seeds from Chile in an attempt to save the genetic diversity of the species. Also, they are growing 700 trees in a greenhouse. The plan is for more than 150 of the trees to be planted at Benmore Botanic Garden in Scotland in the hope of eventually creating the largest monkey puzzle tree forest in cultivation. The tree is said to grow very well in the Scottish climate. Other trees will be sent to different areas in the UK. A monkey puzzle tree forest has already been started with forty trees in Perthshire, Scotland. The exact location of the forest is being kept a secret to protect the trees. My neighbor has a monkey puzzle tree and after almost 24 years a seedling came up between two slabs of concrete in my driveway. I tried saving it but it died. Well, this year another one has sprouted up in the same place. How can I get it out without killing it? That’s an interesting question. It’s important to get all of the root system out of the ground along with the rest of the plant, which could be difficult when the seedling is in a crack between slabs of concrete. If the roots are damaged, the seedling likely won’t survive. You may have to grow seedlings the traditional way by planting seeds in a pot. Good luck with whatever you decide to do. I have a 5' tall, healthy monkey puzzle tree that I'd like to transplant to my daughter's farm. Can this be done successfully? I don't know for certain, but I doubt it. I would think that a tree that is five feet tall would have quite an extensive root system that could be damaged when the tree is dug up and transferred. (The leaves may make removal of the tree painful, too.) I may be wrong, though. It might be a good idea to contact a department of agriculture, a botanical garden, a university professor, or a similar source that has experience with the tree and ask them if they think the transfer is possible. Are monkey puzzle trees deer resistant? Monkey puzzle trees are said to be deer resistant. Deer may very well leave them alone. 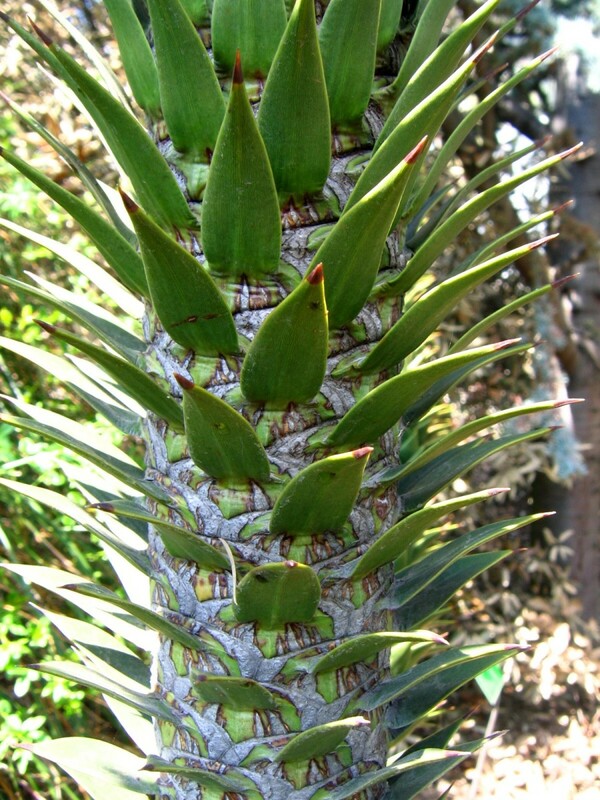 Several sources point out that if the animals are very hungry, they’ll eat anything that isn’t poisonous, however—even the spiky leaves of a monkey puzzle tree. A deer-proof fence is the best protection for plants. Research is required to create a fence that is truly deer proof, but if this is done the result can be very effective. How many monkey puzzle trees are left? The number of monkey puzzle trees left isn't known, but the tree is classified as endangered because of its area of occupancy, or AOO. According to the IUCN (International Union for Conservation of Nature), the last population assessment was done in 2013. At that time, the total AOO for the monkey puzzle tree was 392.51 square kilometers. This number puts the tree in the endangered category. Can a monkey puzzle tree live in NFLD (Newfoundland and Labrador)? I don't know for certain, but I would doubt it. The trees grow well in British Columbia because we have mild winters compared to the rest of Canada. They aren't hurt by the occasional snow that we get. Continuously low temperatures in winter might damage the trees, however. I have heard about some growing in Ontario, but at least some of the monkey puzzle trees there are struggling to survive. Thank you for the comment, Gayle. Would love to grow a monkey puzzle tree in Brunswick, Georgia. Heard about it in movie "The Ghost and Mrs. Muir." Thanks for the comment and for sharing the very interesting information, Brent. The vast majority of sources that I've seen say that the species is dioecious (having separate male and female plants), but a couple say it occasionally isn't. I appreciate hearing about your tree with male and female cones. It sounds like a lovely specimen. I have a Monkey Puzzle Tree in the Fraser Valley (BC) that produces both male and female cones. It was most likely planted in the 50's. 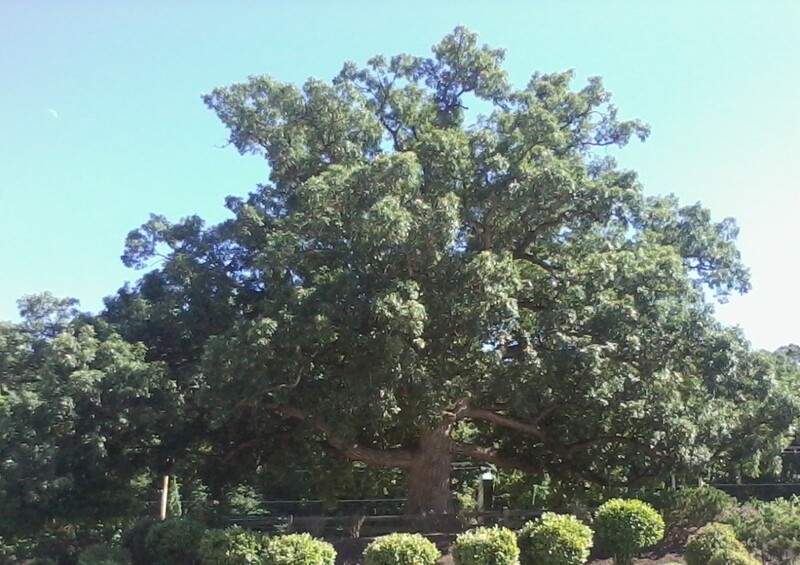 The tree is a giant with a 2.4 meter base circumference. Hi, Ben. I give information about distinguishing male and female cones in the article. The cones must develop in order for a gardener to identify the gender of a tree. Although the female tree is pollinated by wind, the tree must be quite near to the male one in order to provide a good chance of successful pollination. I haven’t seen any reliable information about how far the pollen is likely to travel, however. I understand that the monkey puzzle tree is either male or female, how can we distinguish between the different sexes? I'm glad the information was helpful, Ibtasam. Thanks for the comment, Charlotte. I've never read any novels by the author that you've mentioned. I'm going to investigate them. had a reference to the Monkey Puzzle Tree in a M.C. Beaton novel, with Hamish McBeth as an important and on-going character. Looked it up, and found this. Thanks. Totally fascinating. Thanks for sharing the interesting information. seeds are most delicious, like an expanded almond, lightly roasted , tales from s. america make bread from the seed. and every citizen has theright to harvest 600 lb. 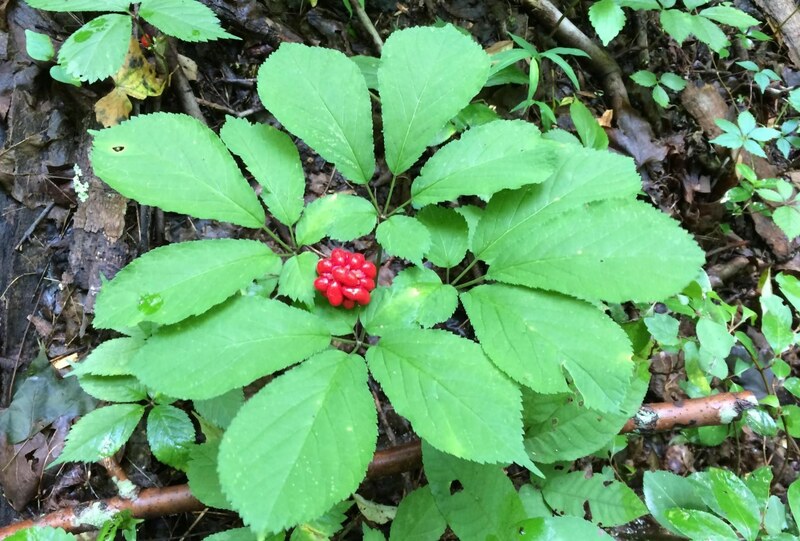 from public forests. Hi, Yvette. I have no experience in trimming a monkey puzzle tree, but it sounds like a great way to make your neighbour happy. It needs to be done correctly so that it doesn't harm the tree, though. When I did a Google search for "trimming a monkey puzzle tree" or for pruning it, I found some information that should be reliable. The best plan would be to ask a horticulturist in your area for advice because he or she would know about your climate and growing conditions as well as the tree. Good luck with your problem. Hello. I live in South Africa , Johannesburg. I have a big tree in my garden. My kids dont play there because of the sharp leaves that fall. My neighbour is complaining because the leaves are falling into her yard. So the landlord came to look and what we can do. I dont want to take it out but maybe just trim it down??? Maybe just trim it and cut the branches back? Cut it shorter? That sounds like a lovely tree, Angelique. I don't have a monkey puzzle tree myself, but there's one in a garden about a five-minute walk away from my home. I nearly always look at it as I walk by. It's very majestic. Hi Linda I live in South Africa and I have one in my garden that is about 30m high. It is a female as it carries the pods. Hi, shanmarie. I'm lucky because it's quite easy to find monkey puzzle trees where I live. People seem to enjoy growing them. Never heard of this tree until now. Glad it was in my news feed and caught my attention. Thanks for the introduction. I hope to see one some day. I hope you do get to see some monkey puzzle trees in real life. They are interesting to examine. 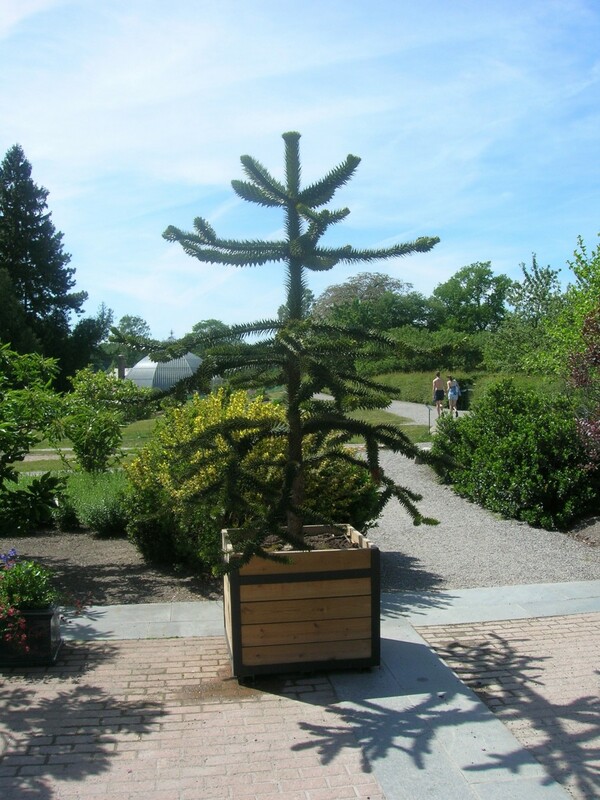 I first learned of the monkey puzzle tree from reading Agatha Christie novels. I have always wanted to have one, but I live in the cold Midwest (zone 5). Perhaps I will get to see some on a visit to Portland or even England. Hi, Randy. The cones are brown when mature and generally drop to the ground when the seeds are ready to eat. I opened a pod when it was brown and about two months being that color. Was it to early or too late to get the nuts? The pod was about 6 inches. I got twenty nuts. I've got 4 more pods and they are green now. When should be a good time to pick them for nuts? Thank you for the comment on my article, c.s. jagadisan. I am really thankful for those who compiled the article. It is really nice to know that a tree like this exists. Thanks to all for the information. Thanks for sharing your experience with the tree. As I say, it's not a good idea to stand under the tree when it's dropping cones. Your idea of planting the tree in an unused part of a yard is a good one. These are dangerous and should only be in the far reaches of your yard or preferably near a neighbor you do not like. The one I have was planted in 1950 and has rows of spike daggers that could impale hands or you could stick your face on it. They are nice until someone's eye gets poked out. You will need welding or thick cattle rustler gloves to do any trimming and spiders love to hang out in them. Birds do not frequent as they get impaled. When they get old, the trunk looks like an old elephant or brontosaurus leg, lovely. It's interesting to hear that there are so many monkey puzzle trees in Portland. They are certainly impressive plants! I can understand why you like them so much. I've heard that the resin is useful, though not that it's medicinal. I've never eaten one of the nuts. I'd love to do so. monkey puzzle trees are all over Portland, OR', I know because I loucated hundreds of them, at least 5 locations have a male and female close, hence, viable seeds. I aim to introduce them to oklahoma, several acres at 20' intervals. a forest for people 100 yrs. from now, they are VERY long lived, some recorded 1500 yrs. plus. The resin is medicinal, the nuts nutrional. an all round winner. It coexist3d with dinosaurs, a priminitive conifer, I am totally infatuated wth the species. long live Araucaria! That's a big and important question, chrysathima. I think that stopping the destruction of suitable habitats for the tree, enforcing protection laws, stopping pollution and education of the public are all necessary. how could our society prevent the tree from going extinct? Hi, Debra. The monkey puzzle tree isn't native to North America, so we can't really classify it as endangered on this continent. I don't know how common the tree is in Florida. I imagine that since it's an introduced plant there would be no problem in removing a tree. Perhaps the Parks Department in your area can give you more information about the tree's status in your state. Is this tree endangered in Florida? We have one dropping fruit and we would like it removed but are not sure that's possible if it is endangered. Thank you for the visit and the comment, sahil. Hi, Don H. The trees that you see could be young monkey puzzle trees. I just did a quick check online and saw a couple of reports saying that the tree is used as a landscaping plant in Florida. It seems to be popular in many places! Surprised there are no comments from Florida. There are several in lot across the street here in Ft MYers. They look dissimilar from your pics but clearly have the spike nodules all over the trunk. Are they just young trees? Hi, Robert. I'm sorry, but I don't know of any monkey puzzle tree sellers in Austin. Good luck with your search. I hope you find a tree. Thank you very much, liamhubpages. It's nice to meet you! Wow, amazing photos and a great hub! Really enjoyed reading! Thank you, Thelma! I hope you have a very happy weekend, too. A beautiful tree! I love it. Thanks for the very good and useful information. Happy weekend! Good night! Hi, javr. I think that monkey puzzle trees are very nice, too. Thanks for the visit. Monkey Puzzles are very nice trees. I didn't know that they were endangered. Thank you very much for the votes and the shares, Patsybell! I appreciate your visit and comment. I have never heard of this tree before your informative hub. Now I will notice it when I visit botanical Parks. Voted up, U, I, tweet Pin. Yes, the tree and its name are intriguing! Thanks for the comment, ReviewsfromSandy. Interesting tree. Just like its name. Thank you so much for the votes and all the shares, Peggy! I appreciate your support. It's interesting that the Pacific Northwest is such a good area for monkey puzzle trees. I'm happy that this is the case, though, because it gives me the opportunity to observe the tree. I have a photo of one taken on one of our trips to the Pacific Northwest and it was either in Oregon, Washington or up in Vancouver. Will have to look at my photo albums! Thanks for filling in some information about them that I did not know. Up votes and happy to G+, pin, and share on HP. Thank you, newbizmau. I find it interesting that the monkey puzzle tree changes its appearance so dramatically, too! I loved reading through all the history. So interesting the difference in how it looks at a young age to fully mature. Thanks for the visit, Rebecca. I agree with you - the monkey puzzle tree is both unusual and beautiful! What an unusual (and beautiful) tree! Thanks for making it's plight of endangerment known! Thank you, Heidi. It's nice to meet you! Very interesting tree! Thanks for sharing. Thank you so much for the lovely comment and congratulations, ecogranny! Monkey puzzle trees are certainly distinctive. I think they're lovely trees. It is easy to see why this hub received the Best All Around Hub for 2014. It is indeed exemplary. Congratulations! I had never seen a monkey puzzle tree until I moved to the San Francisco Bay area. They are quite distinctive, and I marvel each time I come across another. I did not realize they were native to South America, nor that they could survive cold weather. Beautifully written article. Thank you. Thanks for the comment, Nadine. I appreciate your visit. How interesting that you had a monkey puzzle tree in front of your home! Linda what an interesting hub, and just for your information, the photo of the first monkey puzzle tree was the Tree that was in front of the home that burned down in my article about my precognition dream. Never knew that they are endangered trees. Thank you very much for the comment and the congratulations, Adventuretravels! I find these trees fascinating. There's a big one near my house, I'll now look at it in a completely different light! Thanks for this and CONGRATULATIONS on your well deserved award. Beautiful and I have never knew about this plant. Thanks for writing and sharing with us. Again, I learn from you. Good job and Voted up! Hi, ladyguitarpicker. I would love to have a home in the woods! Trees, plants and forest animals are so interesting to observe. Thank you for the comment. Hi AliciaC , I really liked reading this hub. I have never seen a tree like this one. I have a home in the woods and have many different kinds of trees. Thanks for the comment, RTalloni. Those seeds for eating are expensive. It sounds like we either need to grow our own seeds or move to South America to get a reasonable price! Such a neat post about this amazing tree. It reminded me of a palm tree when I first saw the picture of the mature ones. Though it would be a shame to cut the remaining trees, the wood sounds lovely. I enjoyed learning about it. Would love to see a mature one in real life. I checked to see if seeds for eating might be for sale and the first listing is 24 seeds for 24.99! Another has a better price, offering 100 seeds for 80.99. Thank you very much, Venkatachari M. I appreciate your comment. Very interesting hub. You have given it a good detailed narration with beautiful images to make it a wonderful quality hub. Thank you for sharing. Thank you very much for the kind comment, shara63! Congratulations....they really did justice...it's a wonderful hub..indeed! Thanks for the comment and the congratulations, Dianna. I appreciate them both very much! I hope you're able to find a monkey puzzle tree. I am going to have to see if our local botanical garden has one of these trees. It is a shame that they are endangered. I always enjoy your posts and come away much more informed about the topics. Congratulations on your Hubbie Award! I've never heard of the Ylang-Ylang tree before. Thank you for the comment and for introducing me to a new plant! I love and enjoy reading hubs about trees, flowers and other ornamental. This tree reminds me of my Ylang-Ylang trees in my gardens at Chateau Du Mer, Boac, Marinduque, Philippines. Hi, goatfury. Thank you so much for such a lovely comment! I appreciate it very much. This is an absolutely beautiful article, ripe with great media as well. I have very little interest in the subject matter, but after looking through it, I'm interested in learning more. Wow. Hi, Nell. Thanks for the comment. I think that monkey puzzle trees are amazing, too! Hi, I haven't thought about a monkey puzzle tree in years! How fascinating! I had totally forgotten about them, and they live for a thousand years? Wow! this was great reading Alicia, I learned so much about this amazing tree. Thank you very much, Paula. I hope your daughter enjoys the article if she reads it. My daughter thinks she wants to go to college to become a botanist. I will encourage her to read this. Hi, Audrey. Yes, monkey puzzle trees are very interesting. I enjoy observing the ones in my neighbourhood. Thank you so much, GoodLady! I appreciate your visit and your very kind congratulations and comment a great deal. I hope you're having a great holiday! I'll send you an email. Congratulations ! So happy you won the award. All your Hubs are wonderfully informative. I look forward to learning all about the tree when I get back home after my holidays. I sent you an e, but you must have changed your address. Thanks, Paula. Monkey puzzle trees are interesting, but they aren't very well known in some areas. I've always lived in places where they grow well, so I'm used to seeing them! Congrats and I have to say not only have I never encountered one of these, I have never heard of them before. Thank you for the second visit and the congratulations, joanveronica! I hope that the monkey puzzle tree is getting some publicity. It's a very worthy tree to protect! Hi Alicia, congratulations on winning that prize! And I'm so happy that the Araucaria tree is getting so much publicity, it's nice to think that an indigenous product of my area of the world, is getting so well known and admired by so many readers. Here in Chile they are a protected species, they can't be cut down except with a special authorization from the Forestry area of the Ministry of Agriculture (CONAF). Congratulations once again! Thank you very much for the kind comment and the congratulations, Randy! I'm happy to meet someone else who thinks that monkey puzzle trees are beautiful and interesting. I thought I knew a lot about odd trees until I read this hub, Alicia. If I lived in a cooler climate I would have to grow one these beautiful and interesting trees. Thank you very much for the congratulations, Mary! I appreciate your visit and comment. I am very honored by the win and grateful for the award. Congrats on winning the Best All Around Hub! What an honor. It is a stellar Hub for sure. Very interesting to read and informative. I'd sure like to see one of these trees! Thank you so much for the very kind comment and the lovely congratulations, Faith!! I appreciate your visit. Congratulations to you on your very well deserved Hubbie award, too! Blessings and best wishes to you. Thank you very much for the comment and the congratulations, aka-rms! Congratulations, dear Alicia!!! This hub is certainly Best All-Around Hub! All of your hubs are truly fantastic. Congratulations. I can see why this one won. Very interesting! Thank you so much, Austinstar! I appreciate your kind comment and congratulations. Congratulations on winning the Best All-Around Hub! And, by Jove, it's a great hub indeed!